There are so many intricacies that go into running a successful family business. Undeniably, it’s important to properly organize banking accounts and taxes, but unless you’ve actually contemplated the underlying motives for your business, it can be difficult to act in accordance with your values. And that’s why we decided to write a family mission statement. Our lawyers wrote a book titled, Entrusted: Building a Legacy That Lasts, which is a discussion on successful transfer of wealth to succeeding generations. Not just monetary wealth, but the less palpable aspects of wealth, such as wisdom, lessons, and virtues. 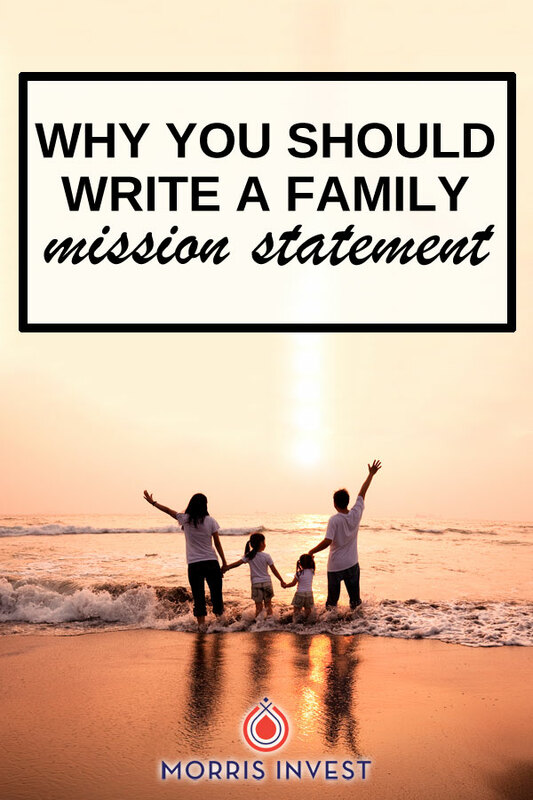 An exercise in the book is focused on writing a family mission statement. Its purpose is to allow you to make known the principles on which your wealth was built. It might sound hokey or self-congratulatory to sit down and think about your family mission statement, but to us it has proven to be a helpful tool. Having a tangible mission statement for our family helps us feel more secure about the future our wealth, and the values we plan to instill in our children. Another situation to consider is that should a trustee need to make a decision on behalf of your trust, they will have a clear set of values to act in agreement with. 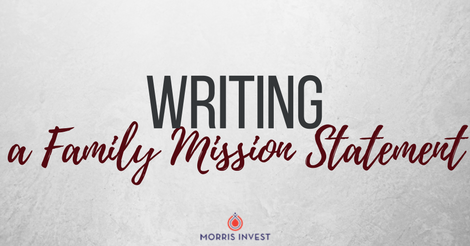 On the podcast, we’re getting more in-depth about the idea of a family mission statement. We’ll discuss the benefits of this exercise, and the importance of having a straightforward approach in estate planning. We hope you’ll consider taking the opportunity to make clear your own family values. We take great pride in being the Morris family. We have spent the majority of our time and energy in creating a legacy of love, health, and wealth for our children and their children to come. We never stop learning to grow in those three tenets: love, health, and wealth. We hope that our descendants value those things in that order and learn to pursue them with meaning and passion. We believe that happiness is made from loving human connections and the pursuit of meaningful goals. We believe that each person assigns meaning differently in their life and that freedom is the ability to pursue your own meaning markers. We hope that each of our descendants can dream up and chase their own goals knowing that happiness lies in every step, not in the end result. We believe that wealth follows passion. We believe that career is amplified when you can see your contribution to making the world better. We believe the human race grows when each of us make our own decisions out of love and courage, not obligation and fear. We believe that a strong family and support group help to make those decisions a lot easier. We create this trust to help our descendants pursue their own paths. We do not want to pave that path for them, only to influence it with the life lessons we have learned. We believe in our children. They have been our greatest gift in life. We want to serve as proud ancestors as they pursue their own personal legends.